The National Eligibility and Entrance Test or NEET-UG is an entrance examination in India, for students who wish to study any graduate medical course (MBBS/ dental course (BDS) or postgraduate course (MD / MS) in government or private medical colleges in India. NEET-UG (Undergraduate), for MBBS and BDS courses, are conducted by the Central Board of Secondary Education (CBSE). 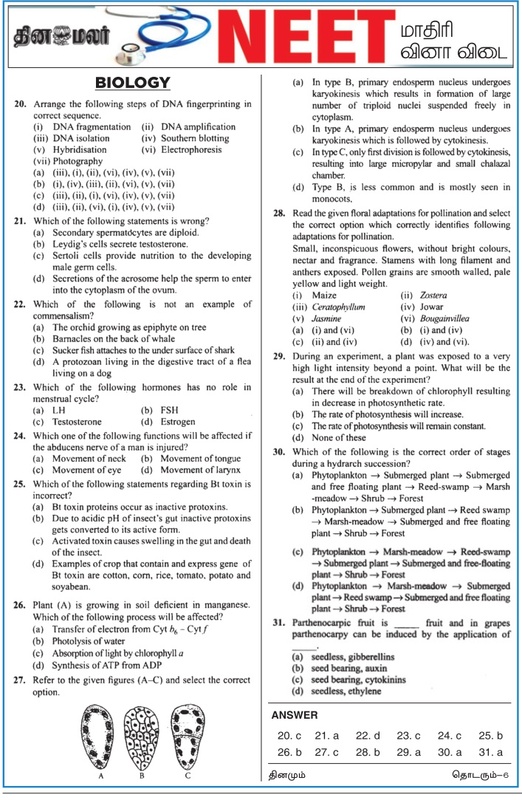 Here You can get download Daily NEET Examination Model Questions and Answers in Various Subjects Daily in PDF Format.